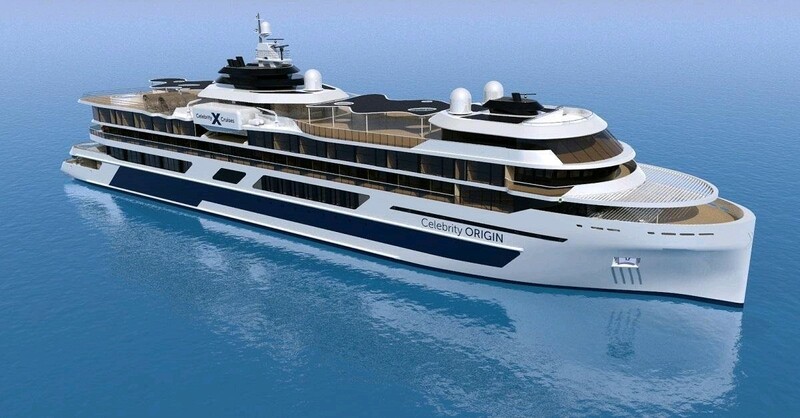 Celebrity Cruises will debut the Celebrity Flora in 2019, a new ship designed by year-round expedition operations in the Galapagos. "Celebrity Flora marks another example of our revolutionary ship design by allowing the destination and its environment to influence every decision we've made," said Lisa Lutoff-Perlo, President and CEO, Celebrity Cruises. "From the luxurious all-suite accommodations to industry-first, eco-friendly innovations, we created a ship that brings a new level of luxury, sustainability and natural exploration to the region. Guests will feel as though they're boarding a high-end yacht for a week of unparalleled adventures, and they are!" The ship will have accommodations for 100 passengers. "We are very pleased with the announcement of Celebrity Cruises' decision to build a cruise vessel with cutting-edge technology, designed specifically to operate around our wonderful islands," said Enrique Ponce de León, Ecuador's Minister of Tourism. "Celebrity Flora will undoubtedly mark a very important milestone in the tourism development of Ecuador and the Galapagos Islands, offering high quality and sustainable tourism." Among the highlights, the Marina is the primary point of access to the ship and can accommodate up to three Zodiacs at once, reducing transport time to and from land and allowing more time for guests to explore the practically untouched islands. While onboard guests will unwind in the Sunset Lounge, find solace in The Vista, an open-air hideaway with 360-degree views, cocoon-style loungers and private cabanas, and enjoy the breathtaking surrounds in the floor-to-ceiling glass-wrapped Observatory, said Celebrity. The Celebrity Flora is one of the most energy-efficient ships in its class, the company said, with a 15 percent reduction of fuel consumption and equivalently fewer air emissions, thanks to the introduction of an advanced propulsion system, hull configuration and specially designed diesel engines, the company said. "I think this is a clear example of an intelligent investment, not only because the boat design was thought with the characteristics of the Galapagos, but because it is based on the best technology available to protect a Natural Heritage of Humanity," said Walter Bustos, Director of Galapagos National Park. "This proposal is a mix of experiences and education so that each visitor returns to their country with a different mindset, more committed to the conservation of the environment, which is one of the objectives of the Galapagos National Park "
De Hoop i Nederland skal bygger det! Tolkamer 17/11/2017 – This morning at 10AM the client’s flag was raised for the design and build of a spectacular expedition cruise vessel. 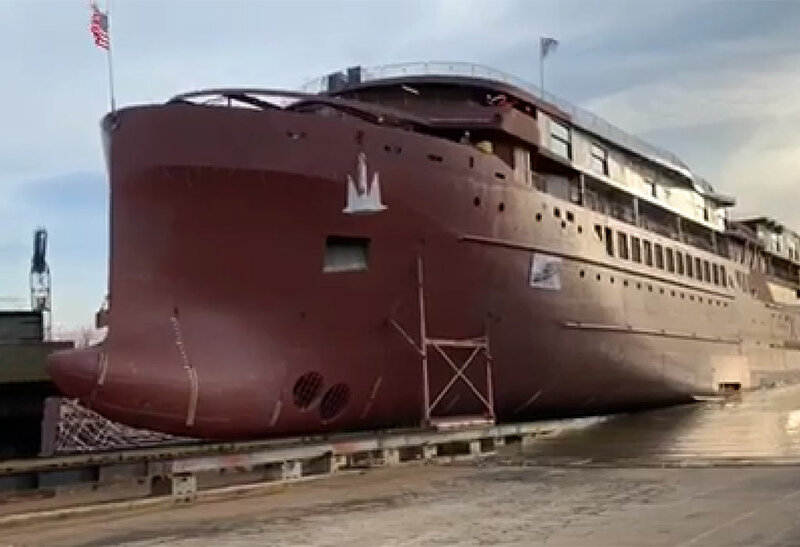 The vessel, to be inaugurated in May 2019, shall be built at the Lobith yard under yard number 488. It is a specialised design for the Galapagos islands which has been designed and developed in close cooperation with the client, Celebrity Cruises. 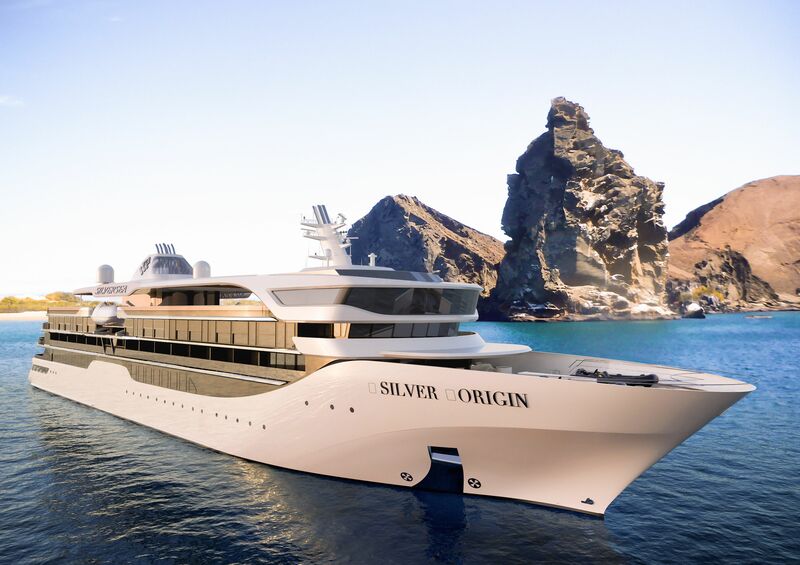 Besides state of art and eco-friendly technology, the vessel shall have the largest and most luxurious accommodations in the Galapagos Islands. 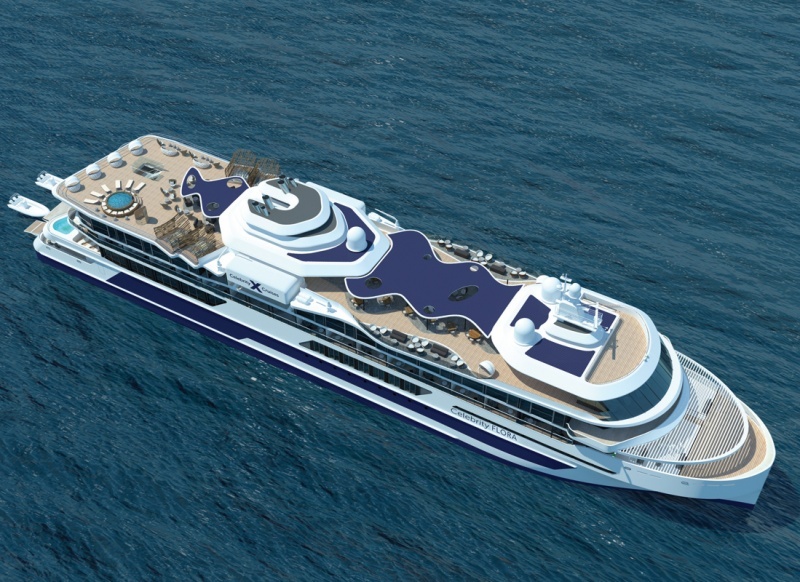 In total eight decks will have a wide selection of spaces for in total 100 passengers. Er det er også et likt søsterskip til under bygging som bygg nr. 489 og IMO 9837937? I also found an illustration with the name "Celebrity Origon"
Yes so did I. I think it is an old one. Utdrag fra pressemelding fra Meyer Werft ang. 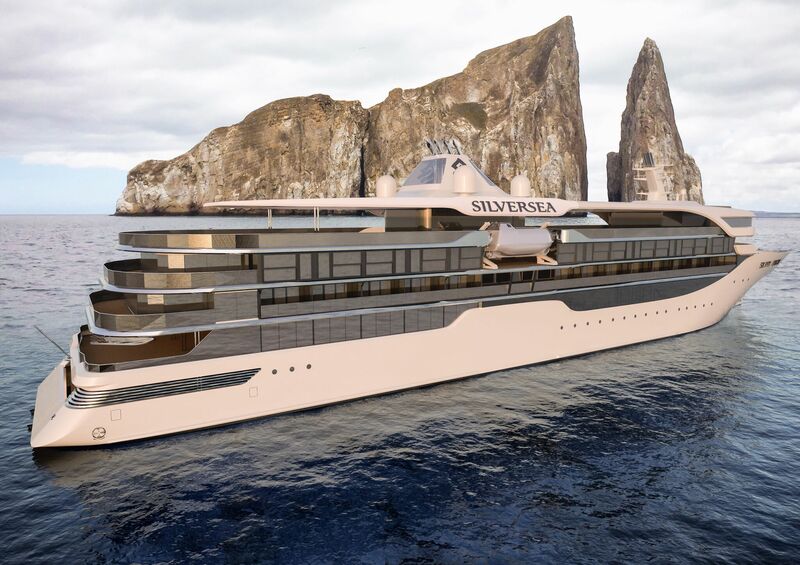 Silversea, MoU ved Meyer Werft, Evolution Class Cruiseskip 2x "Silver TBN"
Dutch shipbuilder Shipyard De Hoop has launched the construction of a new expedition cruise vessel for cruise company Silversea Cruises. The shipbuilder held a steel cutting ceremony for the new 100-guest ship, to be named Silver Origin, on October 8, 2018. The vessel is scheduled to join its owner in March 2020. 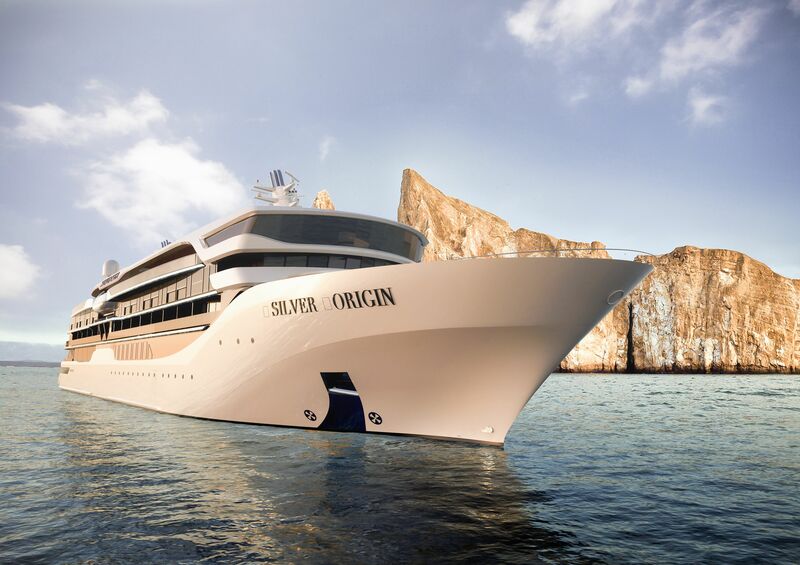 Once delivered, Silver Origin would be deployed to serve the Galapagos Islands itinerary currently sailed by Silver Galapagos. 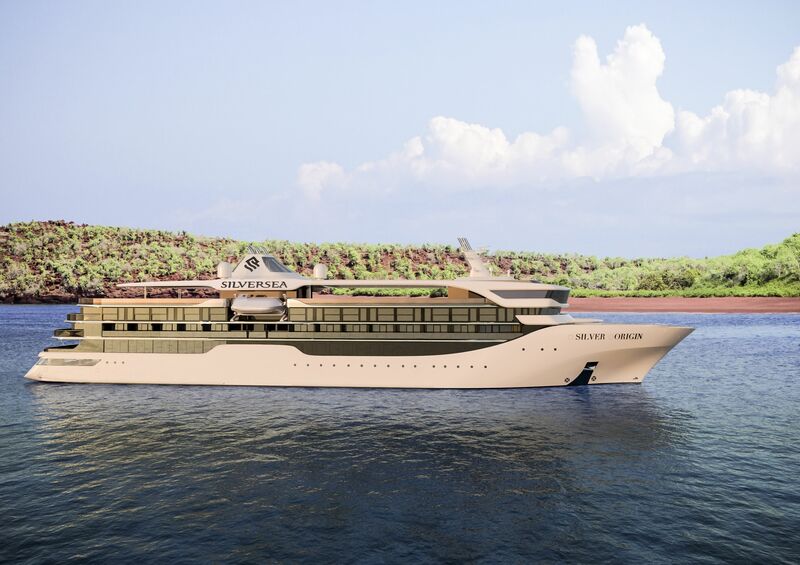 The ultra-luxury and expedition cruise company unveiled the order earlier this week. Separately, the company signed a memorandum of understanding with German shipbuilder Meyer Werft to build two new vessels in a new Evolution Class. The first of these is expected to join its owner in 2022.
digital wall—through which guests will be able to access destination-related content, including pictures, videos, excursion previews and scientific presentations. Why are we mixing Celebrity cruises and Silversea cruises in the same thread? Looks because second vessel came into the picture with my comment "Er det er også et likt søsterskip til under bygging som bygg nr. 489 og IMO 9837937?" Exactly. This order started out as 1 firm + 1 option for Celebrity, with the optional ship provisionally known as CELEBRITY ORIGIN. However, in the middle of 2018, Royal Caribbean completed its takeover of Silversea. 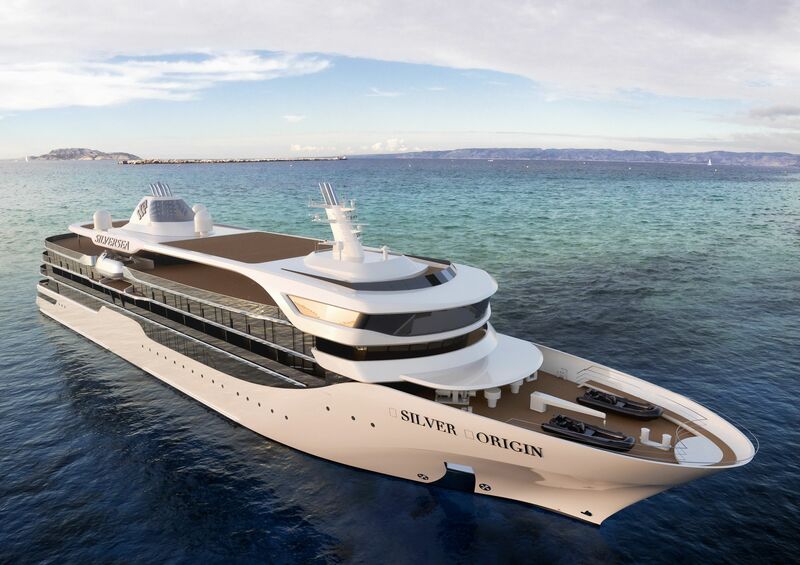 The optional ship was then heavily modified and ordered for Silversea as SILVER ORIGIN instead. I understand that, if the first two deliveries are successful, there may be up to four more orders in the pipeline. Hope this clarifies. då va Flora på prøvetur se link til Youtube.